I have 4 West Regional (Fargo) General Admission Tickets for Sale in section GA3. These are 2 Day Tickets (1 ticket each day) and good for all 3 games. 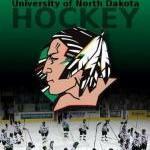 I am selling not because UND may not make it but because I no longer can make the trip up there. I paid $98 each for each 2 day ticket and looking to get as much back as I can. They only offered the printed mailed paper tickets so these would have to be mailed. I live in Utah. Let me know if you're interested. Thanks!